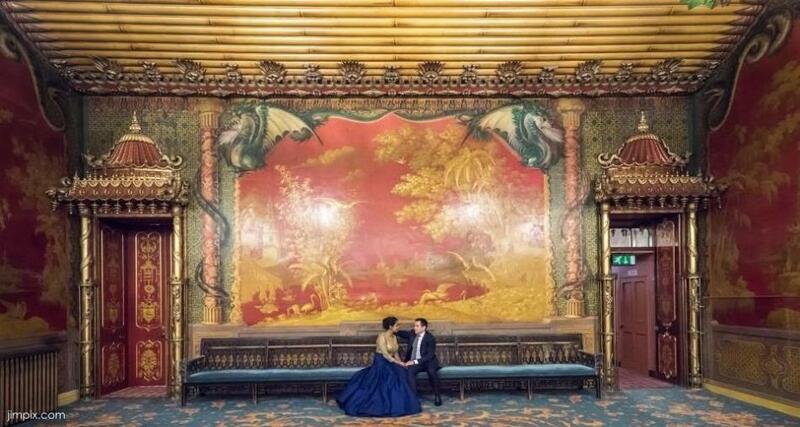 One of the most exotically beautiful buildings in Britain, the Royal Pavilion was built originally as a pleasure palace for King George 1V. 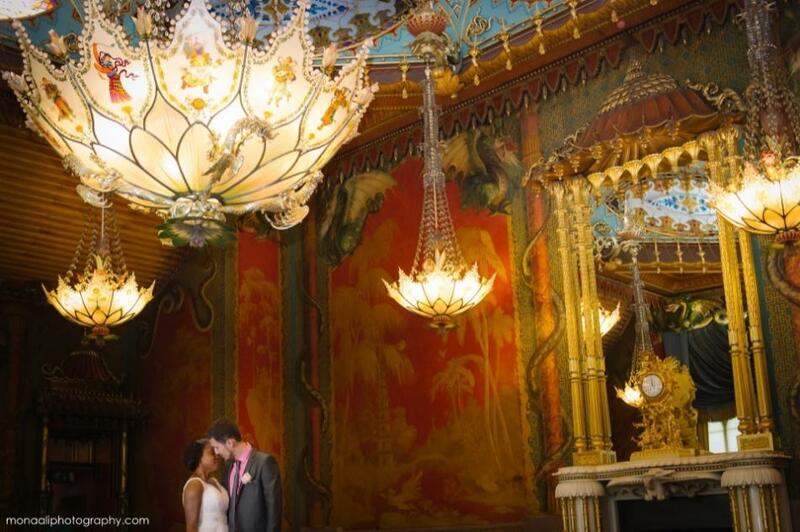 It is fully restored to the year 1823, when the king himself welcomed his guests. 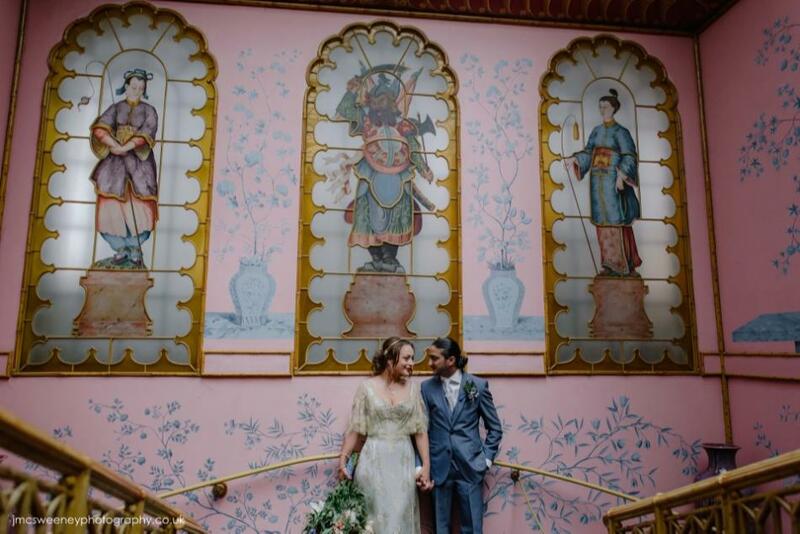 The Indian architecture with its world famous domes and minarets contrasts with striking interiors inspired by the orient. 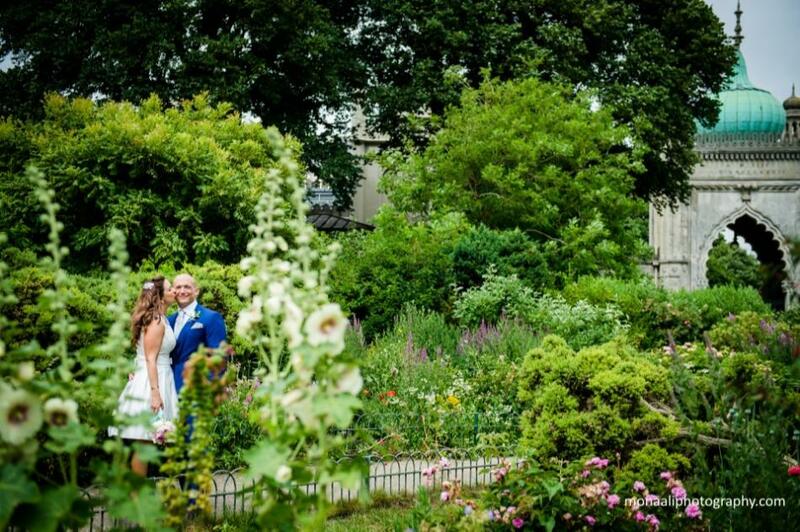 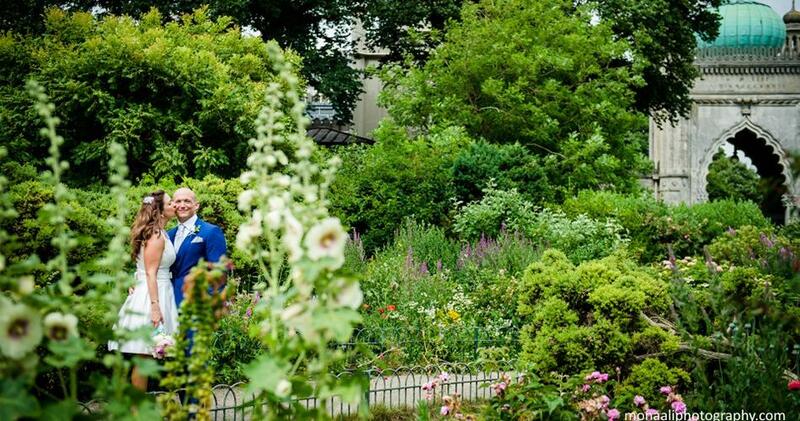 The Regency gardens make the ideal setting for wedding photographs, with groups of flowers and flourishing evergreens framing the building, and your photographs perfectly. 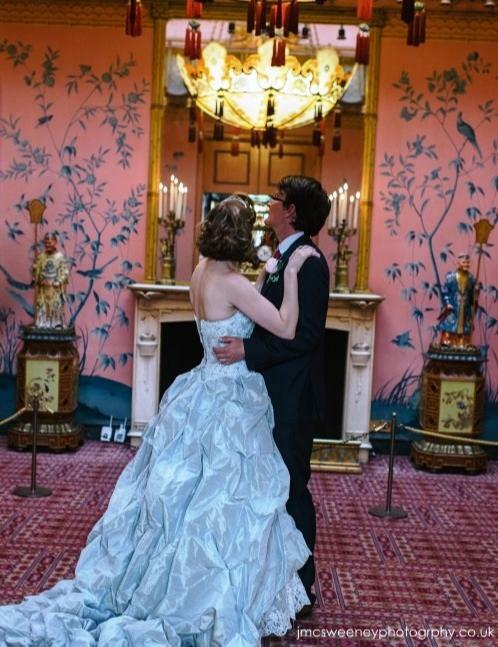 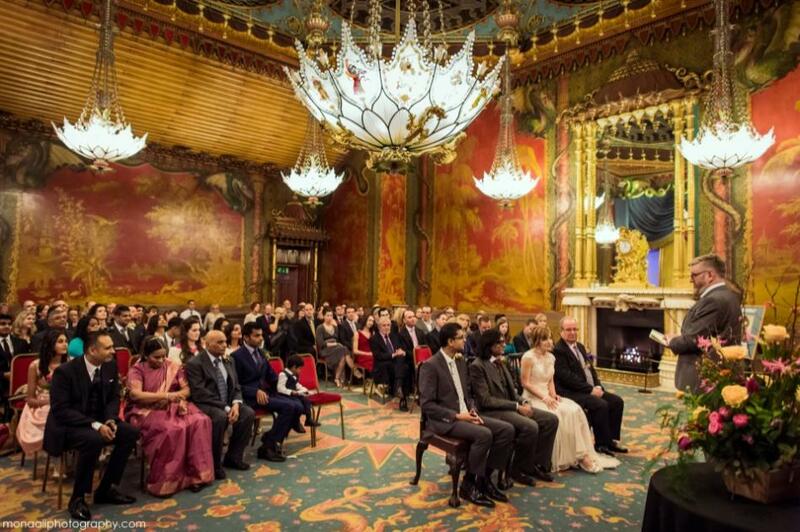 Within the palace there are two rooms licensed for civil ceremonies, the elegant Red Drawing Room (accommodating up to 44) or the magnificent Music Room (available for evening ceremonies only, accommodating up to 90) A truly dazzling room which you enter via the palace’s Chinese-inspired long gallery. 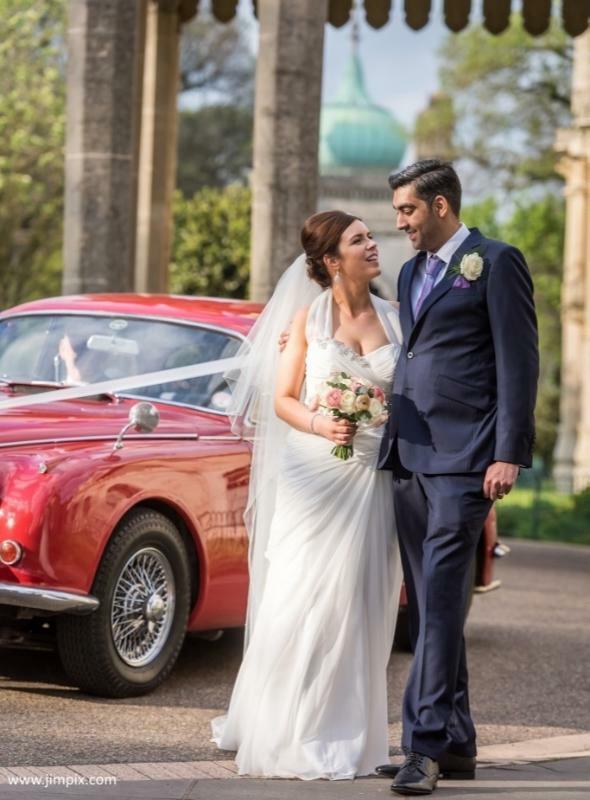 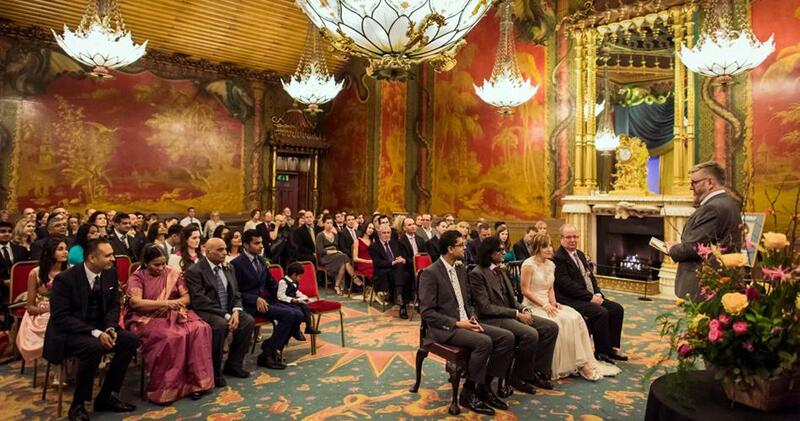 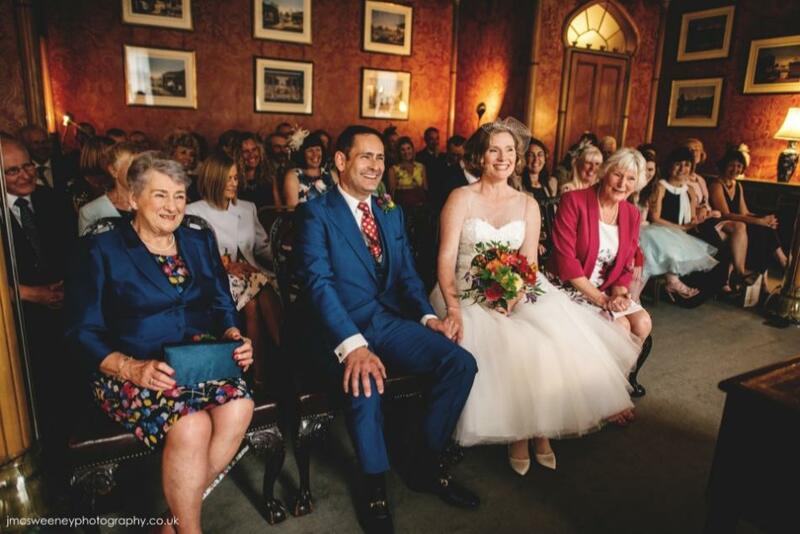 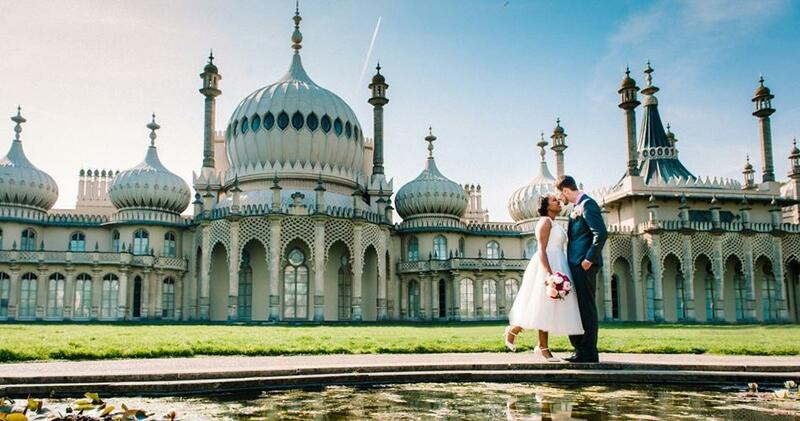 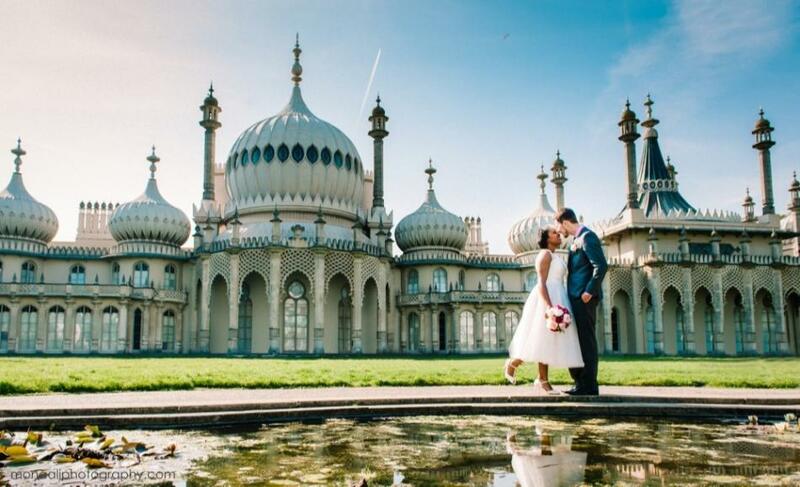 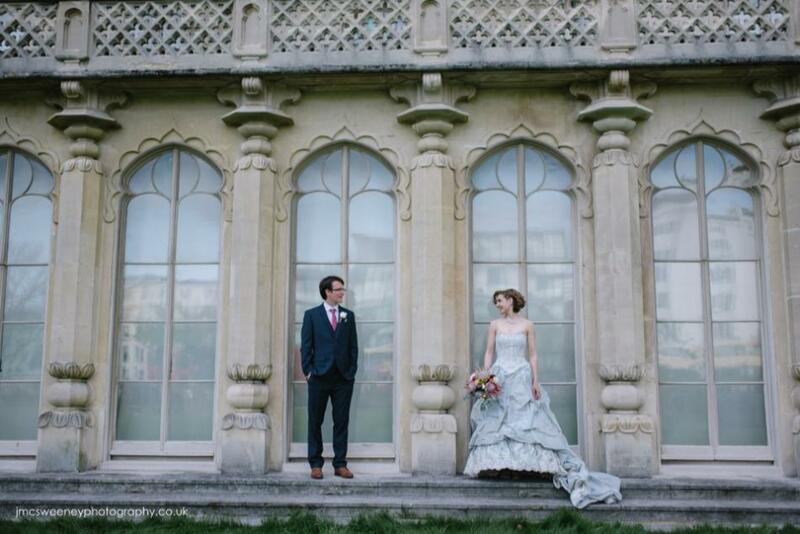 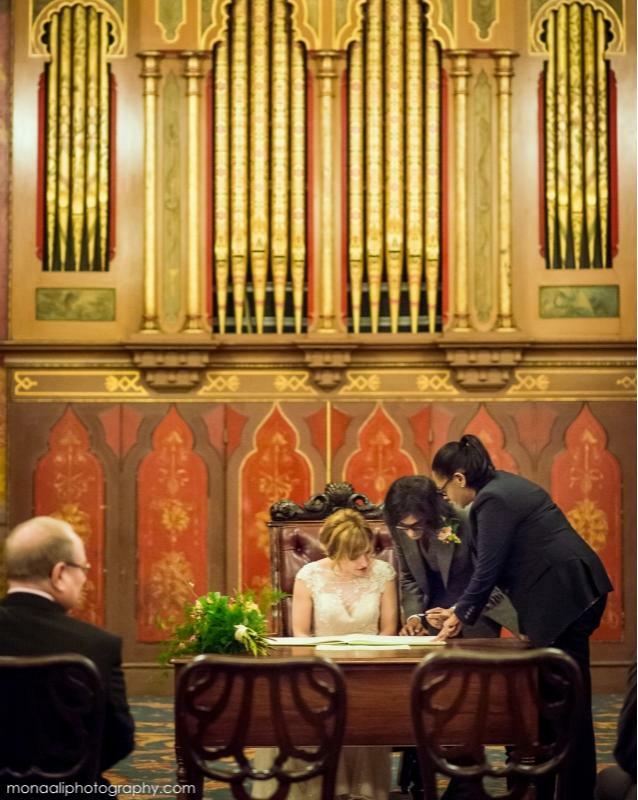 The Royal Pavilion can also offer the exclusive use of one of their two exquisite reception rooms that can accommodate up to 60 for a seated reception. 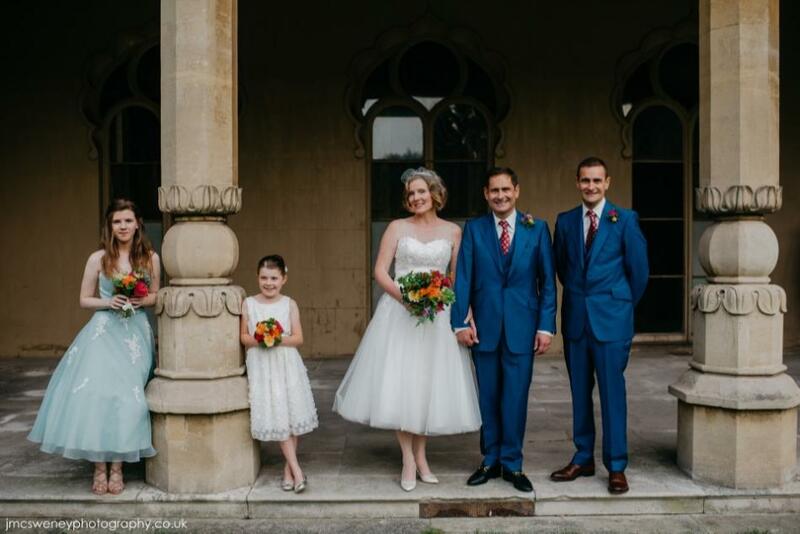 Our Weddings Team offer a bespoke service that will ensure that the setting will be wonderful, the food and wine delicious and that a gracious welcome awaits you and your guests.